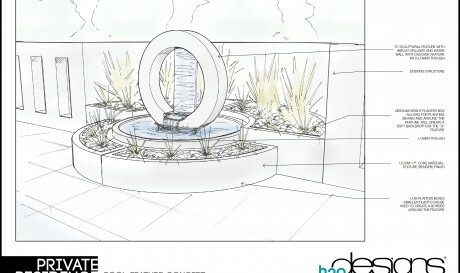 The circular sculpture seen in this concept is a custom designed water feature idea that H2O has had for the past couple of years. 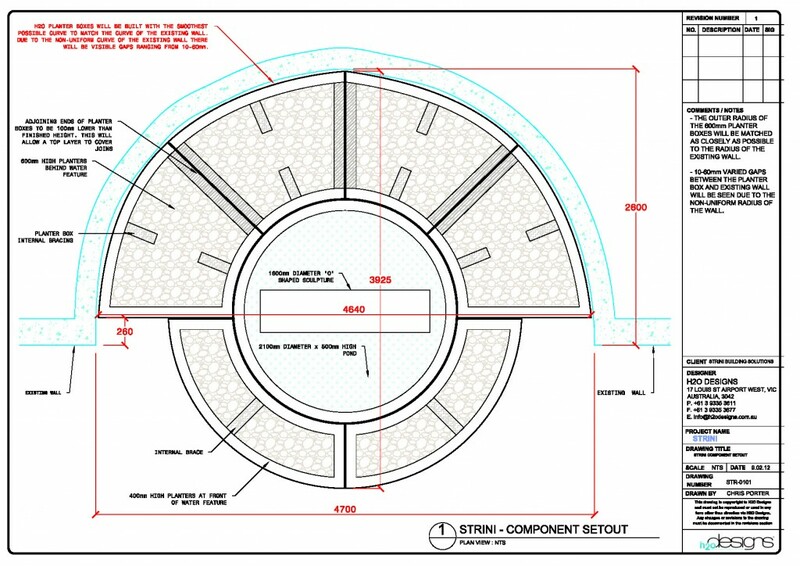 When the opportunity arose to develop a concept for this residential pool area our team could not pass up the opportunity to feature the circular sculpture as it is a perfect fit for the area. The clients loved the design and the fact that the components could be prefabricated in a modular format so that they could install the feature themselves. The project is currently being installed by the client. The initial concept sketch above was presented to the client. It details all the components that will make up the design and provides a visual representation of what the finished project will look like. A view of the site prior to the concept sketch developed for the area. 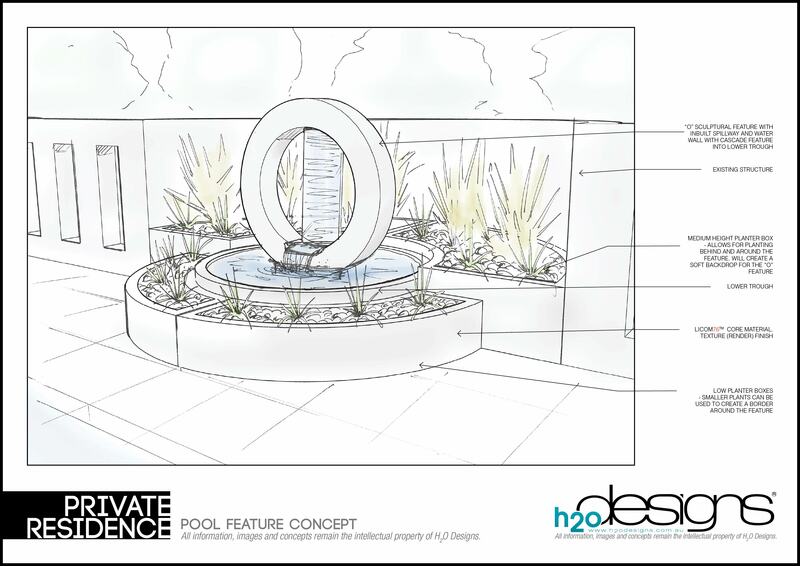 The planter boxes surrounding the water feature are designed to suit the curve of the existing wall whilst the circular shape of the sculpture fits right in place with the round spa that is already part of the pool. Meanwhile a blue slumped glass water wall reflects the colours that are already present in the area. 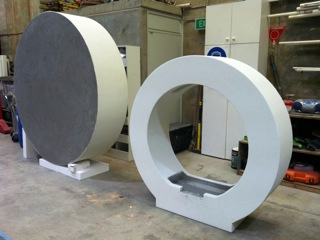 Each component in this design is being manufactured in modular format. 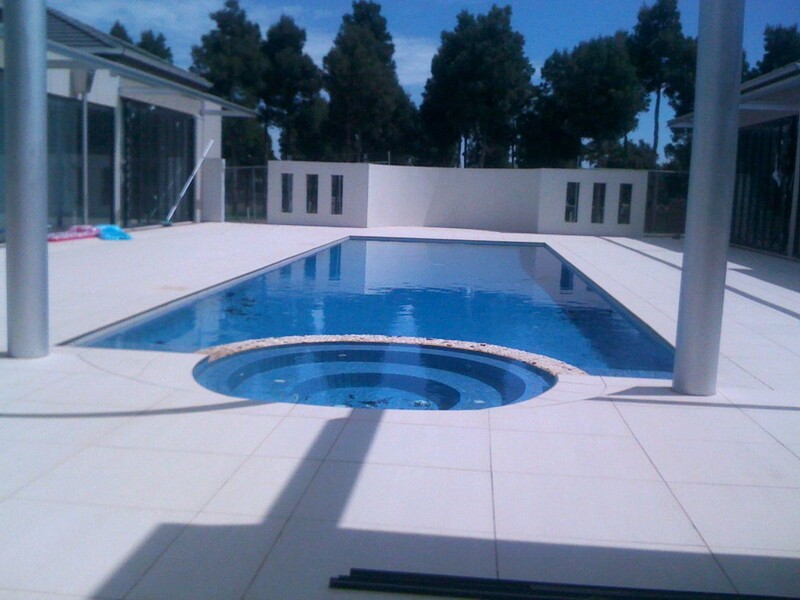 The project is located in Morwell (Vic), the client who has a building background requested that all the components be designed in a way that would allow them to complete a simple install without the help of H2O Designs. The project consists of a sculptural water feature, pond and various sized planter boxes all manufactured in a modular format. The components have now been delivered and the client will simply assemble them in position and fit off the required elements. 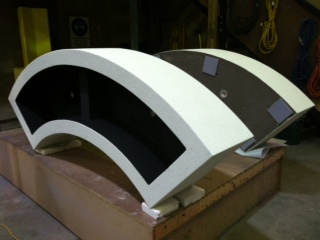 Each component has a unique curve shape, designed to suit the existing curved wall. 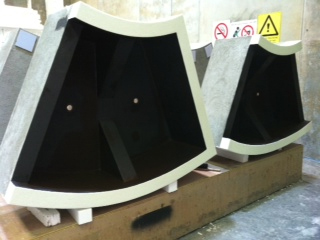 A site measurement was undertaken prior to the manufacturing of these components which will ensure that once installed the components fit as perfectly as possible.